PLEASE NOTE; WE HAVE HAD SOME PROBLEMS RECENTLY WITH OUR EMAIL LINK. EMAILS SENT TO US THROUGH THIS LINK HAVE NOT BEEN REACHING US. WHILE WE ARE SORTING THIS OUT WOULD YOU PLEASE COPY AND PASTE OUR EMAIL ADDRESS INTO YOUR EMAIL ADDRESS BAR OR JUST TYPE IT IN. WE ALWAYS REPLY TO EMAILS SO, IF YOU DO NOT HEAR FROM US WITHIN 48 HOURS, PLEASE TRY AGAIN OR IF POSSIBLE PHONE US. 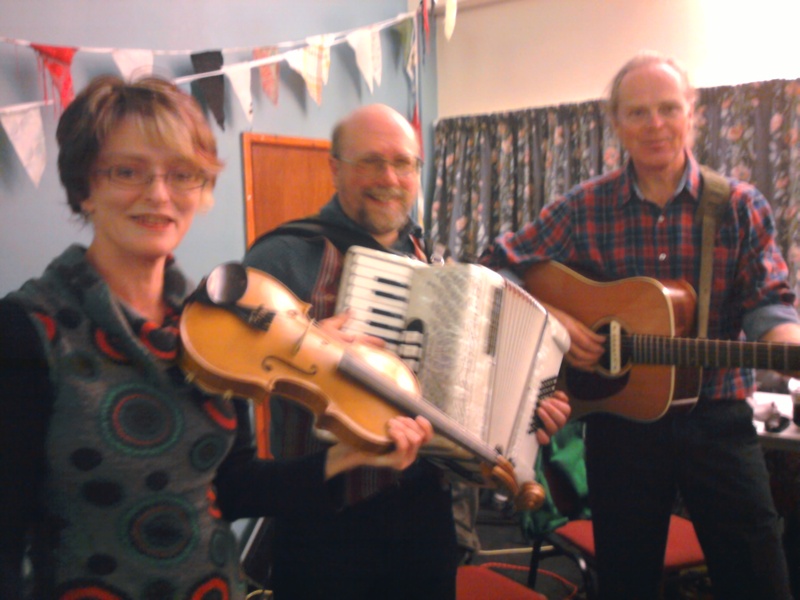 Jeroka with Chris on accordion at a birthday barndance.